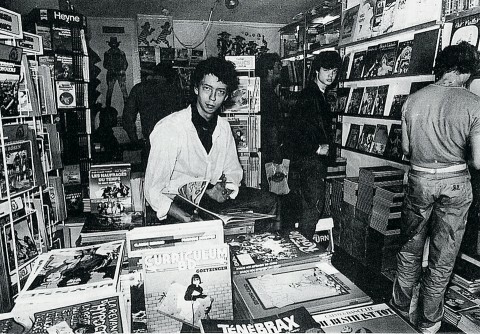 Due to the release of the 1000th book of publishing house TASCHEN, Benedikt Taschen aka G.O.A.P. (Greatest of All Publishers), decorates the window of the Cologne-based book store Walther König and concurrently shows his favorite books since 1980. Benedikt Taschen himself will be present today from 19hrs – 21hrs. 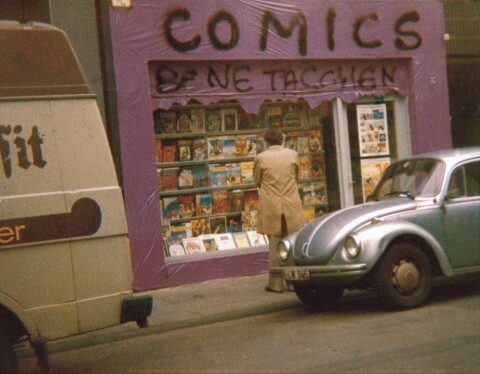 Benedikt has only been 18 years old when he opened a comic book shop in his native Cologne to sell and trade from his massive collection. Within a year he was publishing catalogs promoting his wares, and then in 1984 a breakthrough occurred: he purchased 40,000 remainder copies of a René Magritte book with text only in English, reselling them for a fraction of their original price. The success of this daring move proved that he was not alone in thinking that the art-book market needed to be democratized. Why should cultural enlightenment be reserved for the wealthy? Soon he began reprinting books under his own name for budget prices and the next year he published his first original art book, Picasso.